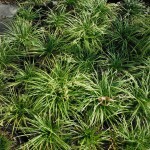 Giant Liriope or Giant Lilyturf (Liriope gigantea) and Mondo Grass (Ophiopogon japonicus) - Richard Lyons Nursery, Inc.
One of the most vexing problems for gardeners everywhere is how to deal with the areas of their property in which there is not enough light for turfgrass to grow. 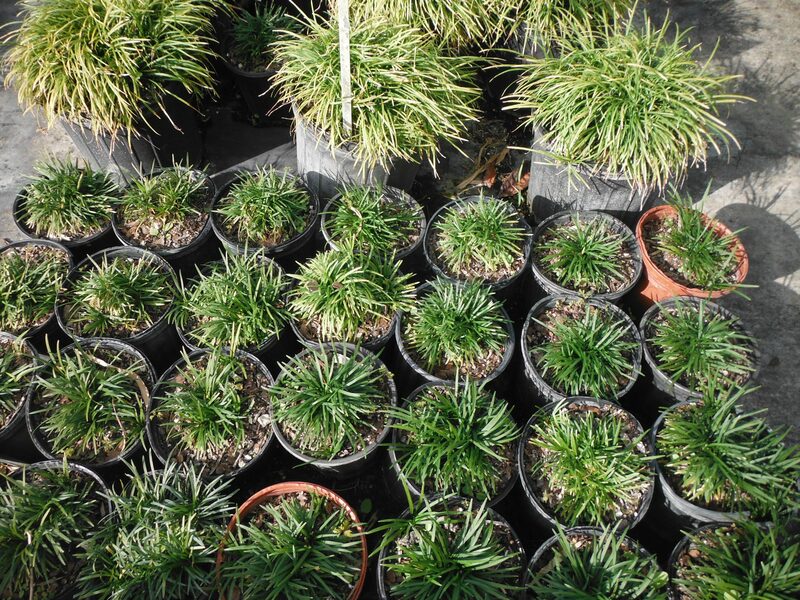 In the southern U.S., St. Augustine grass outperforms other turfgrasses in terms of shade tolerance, but eventually it, too, becomes sparse as lighting decreases. Rather than put up with bare patches of soil, Richard Lyons’ Nursery recommends that homeowners plant a shade-tolerant ground cover. Among the best of them is Giant Liriope (Liriope gigantea). 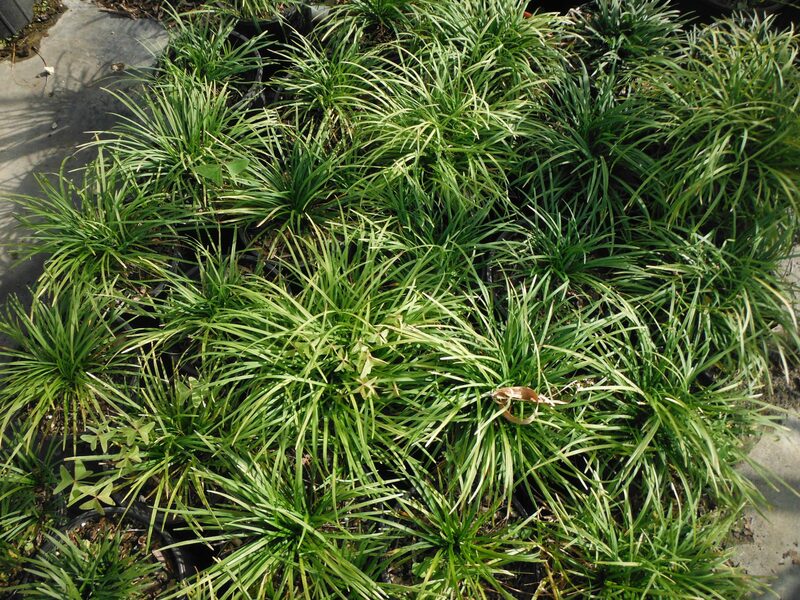 Also known as Giant Lilyturf, L. gigantea features dark green grasslike leaves that grow in clumps ultimately reaching 3 ft. x 3 ft. The leaves recurve, giving each clump a rounded appearance. Consequently, the manner in which you lay out containers of Giant Liriope allows you to achieve varying effects. To create a continuous ground cover, install containers a foot or less apart, but to emphasize the mounding habit of the species, increase the spacing. L. gigantea also functions very successfully to create a border between one element of the landscape and another, and its versatility allows it to handle the transition from shady to sunny settings. Giant Liriope is not only attractive, but easy to grow. It is undemanding with respect to soil types, and, once established, can survive dry periods with no more than weekly irrigation. About the only condition to avoid in installing this valuable ground cover is poorly-drained areas of the yard. Like Liriope, Ophiopogon japonicus (Mondo Grass) is a member of the Liliaceae (Lily) Family, despite its appearance and common name. 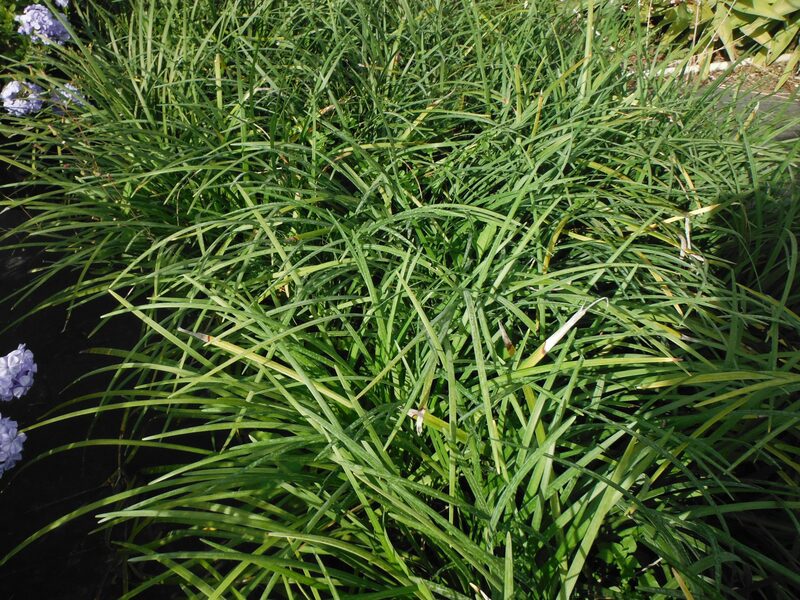 It is much smaller than Liriope, but its growing requirements are essentially the same. 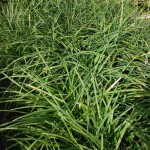 Mondo Grass is native to shady forests of Japan and Korea, while Liriope extends into China. 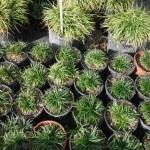 Giant Liriope is available at the nursery in 1-gal. and 3-gal. sizes while Mondo Grass is available only in 1-gal. containers.